If you are reading this article, you must be a digital marketer or someone who wants to be. Email marketing is one of the most powerful marketing tactics. Yet, there are a lot of people out there who doesn’t realize the power of email marketing. Thanks to it, one can promote the brand and boost sales. One of the most time-consuming tasks about email marketing is finding out the email addresses. Every email marketer needs a list of prospects to reach targeted people. That’s pretty logical. One cannot raise sales until he or she has customers. But how can you find people? Manually? Doubt so. Surely, you can. But it will take forever and a day to cope with the task. What if we tell you that you can use a tool that will do this job for you? Sounds interesting? Wanna learn more about it? Well, you are on the right page. Today, in this post, we are going to deal with Snov.io Email Finder and Email Checker. So without any further ado, let’s jump right into it. Should we? Email Tracker: the free Chrome extension which shows you how many times the emails were opened and the links were clicked by the recipients. And bonus for those who wants to know which web technologies competitors are using – Technology Checker. With it, you can learn within a few minutes which CMSs were used to make the platform run. So, let’s dive into Email Finder pecularities. And we’ll have a look at some other Snov.io features. Snov.io Email Finder is a solution for those marketers and business people who would like to save time on searching for emails. It is available as a Chrome extension. So, you will always have it at hand. You’ve simply got to activate it on the webpage you are right now and save the found emails in the prospects list (you can create a list on-the-go). Have you ever been in a situation where you want to dig into all the available email addresses of a domain? Maybe you want to eagerly get in touch with one website’s team. Well, this is possible with the Snov.io. You can collect all the available email addresses from a single domain pretty easily and quickly. If you have found people on the professional social network and want to reach them via emails, that’s not a problem. 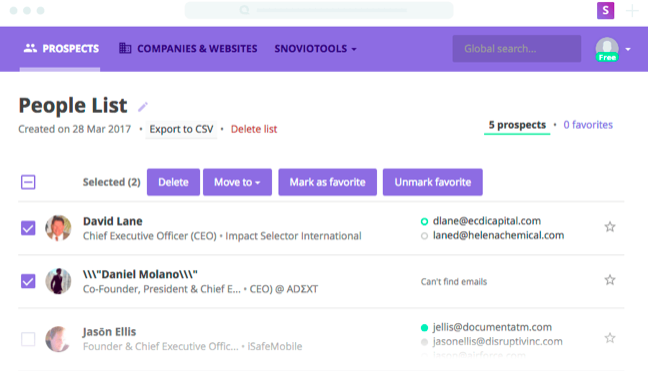 Activate the extension on the person’s profile, search page, or company profile page, and Snov.io Email Finder will do everything for you. These are just two features of Snov.io Email Finder. Others are: Bulk Domain Search, Company Profile Search, Social URL search, and Emails from names. Snov.io Email Checker lets users check whether the emails that you have collected are valid or not. You can put in a lot of email addresses in the list and then check the emails at once. The verification process is quite fast and works quite well. We have tested out the chrome extension in our office and we should say that it works pretty good. Collecting emails is also a matter of seconds (minutes in the worst case). All you need to do is simply go to a website or any social profile and click the extension icon. There you have it! Snov.io has done the job for you! This is a forever-free Chrome browser extension. What it does? Well, everything connected with email tracking, obviously. After you send an email, the tracker activates, and you get access to all details: how many times the sent email was opened by the recipients, how many times he or she clicked on the link inside the email. Moreover, you receive live push-notifications when this or that action is performed. Well, this tool can be used not only for business purposes, but personal ones as well. 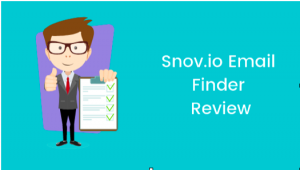 So, guys, this was our take on the review of the Snov.io Email Finder and Checker. If you ask us, we would say that Snov.io is an awesome all-in-one tool for digital marketers and others. You should definitely try out this amazing tool at least once. If you have any questions, read their Knowledgebase. It is simply written, with screenshots, and every single detail is described. 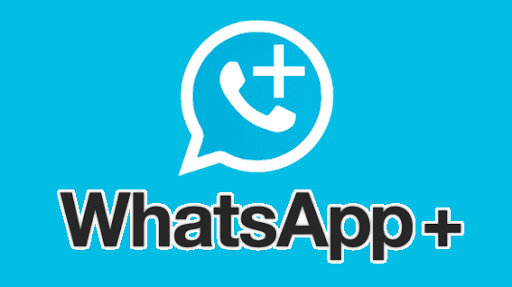 If it happens so that you still need help, write to them, customer care team is always ready to help. We hope that you guys found this post useful. Let us know what you guys think about Snov.io Email Finder and Checker in the comments section down below.